Time is simply too short to do anything other than offer a few comments on some recent developments in the Never-Never Land of Emperor Jorge and His New Clothes. (ANSA) - Rome, September 4 - Former Israeli President Shimon Peres said he has proposed the formation of a United Religions organization to combat terrorism during a meeting at the Vatican on Thursday. 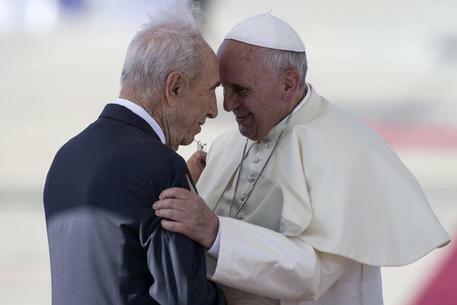 "The UN has had its time," Peres was quoted as saying by Catholic weekly Famiglia Cristiana. "What we need is an organization of United Religions, the UN of religions. "It would be the best way to combat these terrorists who kill in the name of their faith, because most people are not like them, they practise their religions without killing anyone, without even thinking about it. "I think that there should be a charter of the United Religions, just like there is the UN Charter. "The new charter would serve to establish in the name of all the faiths that slitting people's throats or conducting mass slaughters, like the ones we have seen in recent weeks, has nothing to do with religion. Oh, you want another papal quote? Always Positive and Open with Sweetness, Tenderness, Amiability and Egalitarianism, which stands for APOSTATE. What more needs to be said other than to give Pope Pius XI the final word here? I hope to have another commentary on all of this by Sunday. In the meantime, please rest assured: Jorge Mario Bergoglio is an apostate. His "church" is the counterfeit ape of the Catholic Church, indemnying unrepentant sinners in name of a false "mercy" while blaspheming God, profaning His Sacred Revelation and injuring the eternal welfare of souls and adding to the confusion that exists in the world by means of its false doctrines, sacramentally-barren liturgical rites and apostate pastoral practices. Pray for the Seven Dolors of Lady during this month of September and, of course, as many Rosaries as your state-in-life permits. 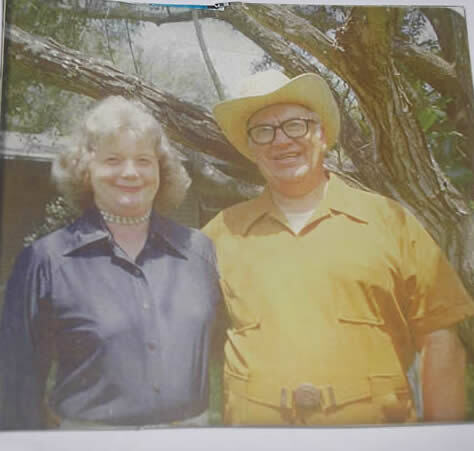 I want to ask those of you who access this site to pray for the repose of the soul of my late father, Dr. Albert Henry Martin Droleskey, who died at 3:00 a.m. on Saturday, September 5, 1992, at Flower Memorial Hospital in Sylvania, Ohio. Eternal rest grant unto him, O Lord, and let perpetual light shine upon him. May his soul and all of the souls of the faithful departed, through the Mercy of God, rest in peace. Amen. For a brief summary of my father's work as a veterinarian, you may review One Man's Life Changed By Doctor Droleskey.